"ClamCase converts iPad to laptop. 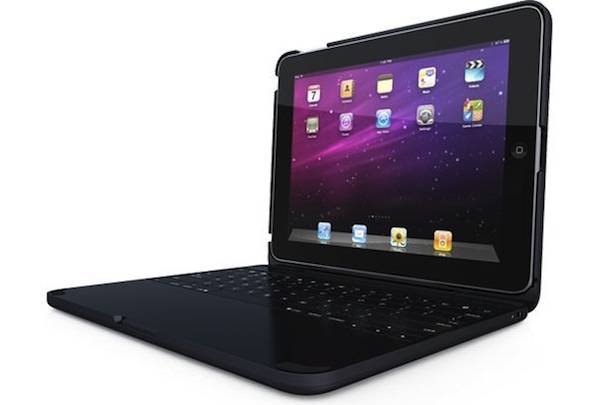 From CES, a first hands-on look at the new iPad shell case/keyboard combo." I don't know if you dislike slide show sites as much as I do, but I really had to go through this to see the images because this product really does interest me. I really like the fact that it is so flexible to use, and the keypad section can actually be bent backwards to set this up as a stand, or even folded completely over so you can use the iPad as it was intended. Very slick device and it appears to work as intended. What are your thoughts, does something like this interest you for your iPad?